The Medispa Institute, also known as Bich Ngoc Medispa Institute, was established in 2005 inside Houston's most famous Asian mall, the Hong Kong City Mall 4. Our mission is to bring cutting edge laser and aesthetic services to our clients. 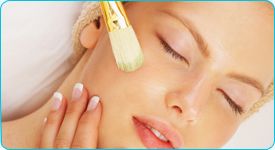 We are the first medical spa in the Houston area to specialize in the treatment of Asian and ethnic skin. Our state-of-the-art equipment are best in class and have won awards within the laser industry for their efficacy. Our highly trained and nationally certified laser specialists can safely and effectively treat a variety of skin conditions. Our aestheticians are rigorously screened and tested regularly to ensure that they can provide the best possible service to our clients. Medispa Institute is the premier destination for all laser, aesthetic and skin care needs. Dr. Ban A. Vu has been practicing cosmetic surgery in the Houston area for more than 20 years. Specializing in facial cosmetic surgery of the Asian face and body, Dr. Vu has completed thousands of procedures during his 20 years in private practice. Dr. Vu completed his medical degree in Vietnam, and originally trained in cosmetic surgery in Japan under the tutelage of Kazuoshi Yamanaka, M.D., a facial reconstructive plastic surgeon. Dr. Vu then practiced for several years in Saigon, Vietnam, before the fall of Vietnam to the communist regime. After immigrating to the US, Dr. Vu and his family settled in Houston, TX, where Dr. Vu completed a fellowship at the renownd MD Anderson Cancer Center. Since then, Dr. Vu has had a private practice in cosmetic surgery. Dr. Vu is a fellow of the American College of Aesthetic Plastic Surgery. He is a founding member of the Miss Vietnamese Free World Beauty Pageant and makes regular appearances on Vietnamese TV, radio, and video. 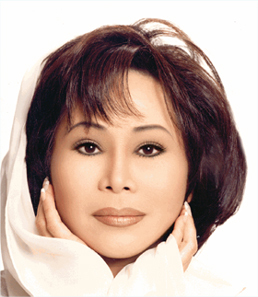 Bich Ngoc Nguyen has devoted her life field of beauty and cosmetic surgery, and is a well-known personality within the Vietnamese community at large. Founder of the Blue Jade Clinic, of Vien Tham My Bich Ngoc, Ms. Bich Ngoc has more than 20 years experience in the beauty and cosmetic surgery industry, Ms. Bich Ngoc is an expert in he field of aesthetics and cosmetic surgery. Through in-office preceptorships, Ms. Bich Ngoc has taught hundreds of students who have gone on to open their own successful spas and salons. Ms. Bich Ngoc has appeared on numerous talk shows, radio shows, TV and video. She is a regular judge in beauty pageants throughout the nation, and has been invited annually by the Miss Universe organization to attend their pageant. She is a founding member of the Miss Vietnamese Free World Beauty Pageant.